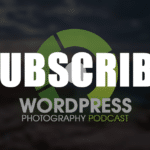 This episode is dedicated to preparing you for the major change coming to WordPress in version 5.0. Gutenberg, which will be called the Block Editor in the upcoming WordPress version, will completely replace the visual editor as you know it today. Important Note: WordPress 5.0 is scheduled to be released today, December 6, 2018. The announcement of the release date came two days before this episode was scheduled to go live. While this episode might be irrelevant by the time you listen, we still recommend you run your backups and then upgrade. Welcome to episode 70. My name is Scott Wyden Kivowitz, and today we're going to talk about Gutenberg and WordPress 5.0 now I want to give a dedicated episode to this because of how important it is. This is my call to Action for you to install Gutenberg now, right now. In fact, hit pause on this episode. Install the Gutenberg plugin. Now you've installed the Gutenberg plugging. You've activated the Gutenberg Plugin. Now you are fully testing Gutenberg on your site. Even if you don't create a post or page. Here is why Gutenberg is going to be deeply, deeply embedded into WordPress. 5.0, when you installed the Gutenberg Plugin, you are not running Gutenberg as it will be in WordPress. 5.0, you only use the Gutenberg functionality when you are creating the poster page on a new poster page, and then when you are viewing that post or page on the Front End, the Gutenberg styling goes into the front end. 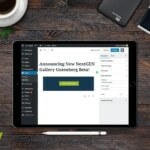 Once WordPress, 5.0, comes Gutenberg is new. The new visual editor, which means it is deeply, deeply integrated into WordPress core, which means is running all the time, which means that even if you don't create a new post or page, you're using Gutenberg. Now, the reason why I'm making you do this again, I am not asking her to this. I am making you do this because it is that important for every word press user. Hopefully, your site did not crash when you installed the Gutenberg Plugin. If it did, you'd need to go in through FTP and remove it if your site crashed, but hopefully, it didn't. The crashing is a very, very, very minuscule amount of users who are testing it. There are now over a million people testing the Gutenberg Plugin. Now, if you did notice the reviews and Gutenberg, it is in the low two's a out of five stars, so the feedback is actually not been so good. 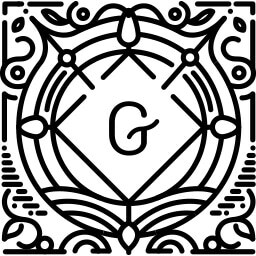 I will say though, that we are big fans of Gutenberg. We think that it's a really good as a future of WordPress. We think that it's wealth well designed, but it could be better, and that could be a lot more improvements to the plugin, into the new block editor that's coming to WordPress. 5.0. The reason why I said a, it's so important for you to do this and why it's so important for you to test this is well, WordPress, 5.0 was supposed to come out on November 19th I believe, and that would have been right before Thanksgiving, right before black Friday. Cyber Monday. They postponed that to November 27 and. Well, I'm recording this on November 27, so obviously it's not out yet. After a lot of pushback from some of the biggest names in the WordPress industry, some of the people behind some of the developers of the largest word press products, our own CEO, Erick Danzer with a lot of pushback from the CEO of Yoast from our CEO from many other higher-ups, higher well known, um, business owners in the WordPress space. It was pushed back potentially to January, so early 2019. Now we really hope this happens now. 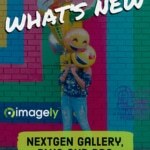 NextGEN gallery. At the time I'm recording this tomorrow, actually, we're pushing out next gallery with our Gutenberg block, so we will be ready in time, but the pushback is for a reason. There are so many bugs in Gutenberg. Now, again, if you install Gutenberg the plugin, you are not going to notice every single bug that happens. You may or you may not. If you were to install the WordPress Beta plugin and then upgrade to WordPress, 5.0 Betas, you will more likely to see the bugs because at that point the the, the Gutenberg Block editor is now deeply integrated into WordPress itself, which means that whether even if you use Divi or elementor or a beaver builder, you are still using Gutenberg whether you'd like it or not, you were still using Gutenberg. Even if you install the plugin that is called classic editor Plugin, which brings back the classic editor. Even if you install that, you're still using Gutenberg. Whether you like it or not, it's still there. It's still functioning. It's still part of the WordPress software, so it is running in the background whether you like it or not. I've said that now what, like four or five times. So, um, I need you to install Gutenberg. I needed to install it. I need you to test it because if your site goes down, once we're pressed 5.0, is out. Well, that's not a good thing. And potentially you could help WordPress in improving Gutenberg before it gets put into WordPress. 5.0 by simply activating Gutenberg and seeing if your site crashes or not. If it crashes, you can literally go to the Gutenberg Plugin Support Forum and just say, Hey, my site crashed. I had to revert it either know, get rid of Gutenberg via FTP or whatever. Revert to a backup, and that's it. Right. And you could have, you know, just in troubleshooting if you want to and help the community figure out what happened or you can just share your feedback and say, look, it's not working. Don't release it. So you know, I'd rather see it push in 2020 if it's not fixed, you know, by 2020. I'd rather see them wait and wait and wait and push it when it's ready rather than push it just because they want to push it out, you know? So I think it's really important because this is the biggest change that WordPress is making since the beginning of WordPress is the biggest change to the core software that's going to impact tens of millions of websites around the world is going to impact over 33 percent of the Internet. So anything that you can do to test it, even if it's five minutes of your day, is going to be worth the time and you need to make sure your site won't go down when you aren't expecting it to go down, right? If you can take five minutes out of your day, have ftp ready to go in case you need to delete it through FTP, you know, and just install Gutenberg and activated. And if your site doesn't go down, your great and now you have it installed and you know it's going to work. Okay. When the time comes, when we're pressed 5.0, is pushed out, and some hosts liquid wp engine like flywheel, they do automatic updates to the latest WordPress version, so you might have it out of your hands to do the WordPress update when 5.0 is out. So if you can prepare yourself again, even if you're not using the default editor, even if you use a page builder plugin, this still impacts you. Okay? Gutenberg needs to be tested alongside all of the millions of plugins and themes that are out there because there could be and there will be incompatible incompatibilities. This is again the biggest change where presses making. So my call to action to you again, is to stop listening to this episode of this podcast installed Gutenberg and spend five to 20 minutes testing it and if you need to remove it for whatever reason in your, if your site crashes, use ftp so or just revert to a backup. So make sure you have either FTP available right away, or you have a backup ready that you can revert to right away. So that's it. That's my call to action. I, that's all I want you to do today is test Gutenberg because it's coming before we know that there's no date on the, on the release right now. It's, they're saying it is being pushed back even more from, from today. They're saying January, but they haven't put an actual date on it yet, so I can't say you need to be ready by this time, so that's why I'm saying right now. You need to install it and test it. Thanks for listening and I'll see you in the next episode.